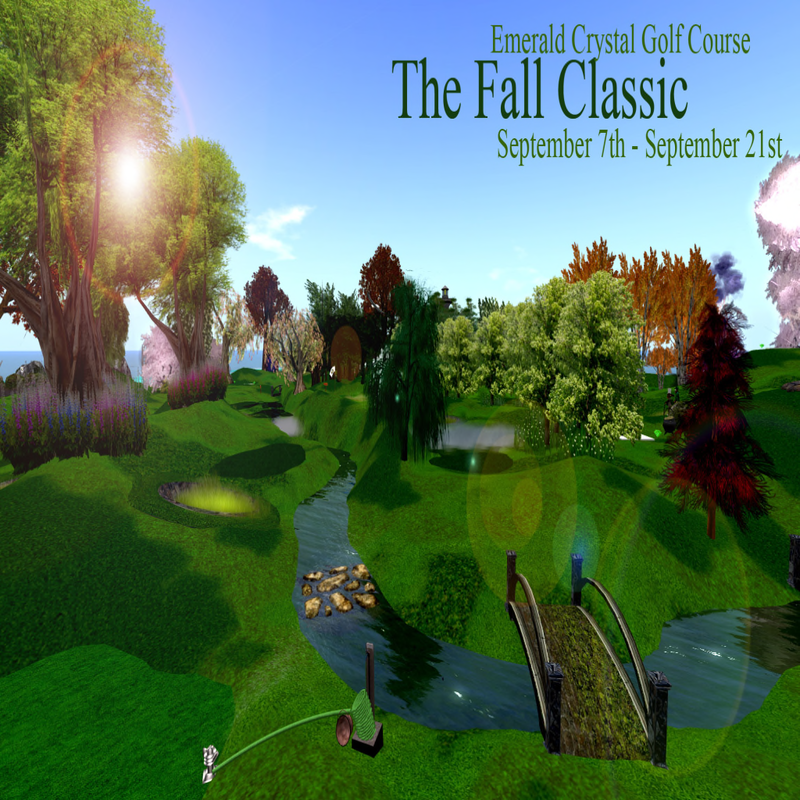 Emerald Crystal Golf Course provides a simulated golfing experience in Second Life. The course consists of beautiful scenic views, hills, valleys and ponds to challenge you on an 18 hole game. For all of you golf enthusiasts, the Fall Classic begins on September 7th and ends on September 21st. If you do not own a golf clubs, you will need to buy a set for $250L's from the vendor at the landing point. The scorecard has been created by ECGC’s tournament Manager Rafe Holder to ENSURE that all players will have an equal chance of winning the tournament. To enter, the fee is 125L. The Scorecard & script is included with this fee. The ballid script needs to be dropped into the contents tab of the golf clubs. LittleOneSusan Teardrop will give you instructions as to how to do that when you pay your entry fee. The one rule is amateur golfers only can enter. Sorry Pros. This will ensure that all tournament entrants will have an equal chance of winning the tournament. After playing as many games as you would like, submit your best score. (Only one game score per golfer will be accepted.